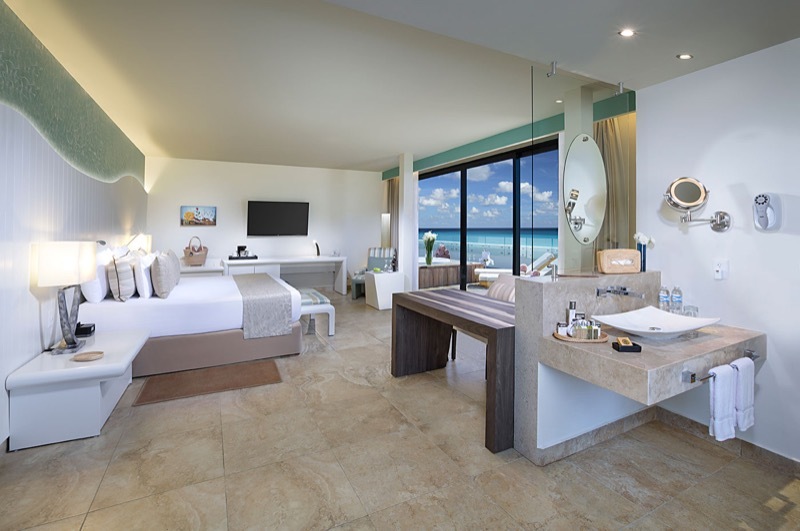 Our Sian Ka'an room category provides all the comfort you're looking for on your vacation. 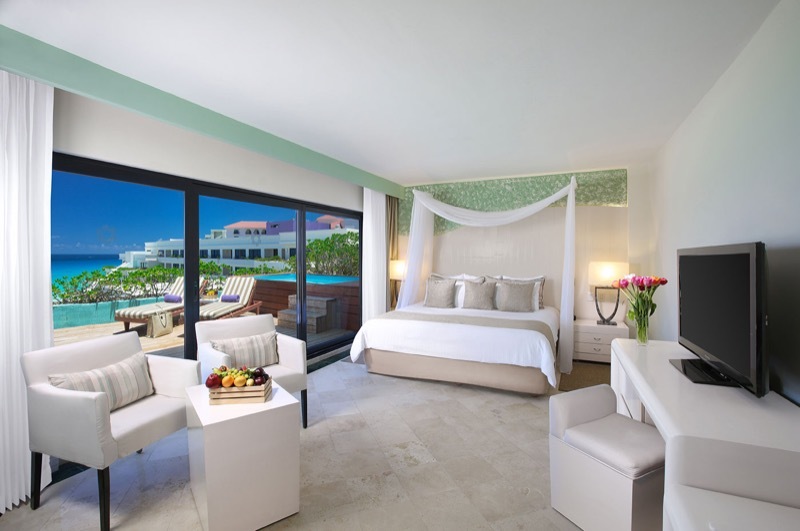 Indulge with splendid views of the Caribbean Sea or the Nichupté Lagoon from your room terrace. 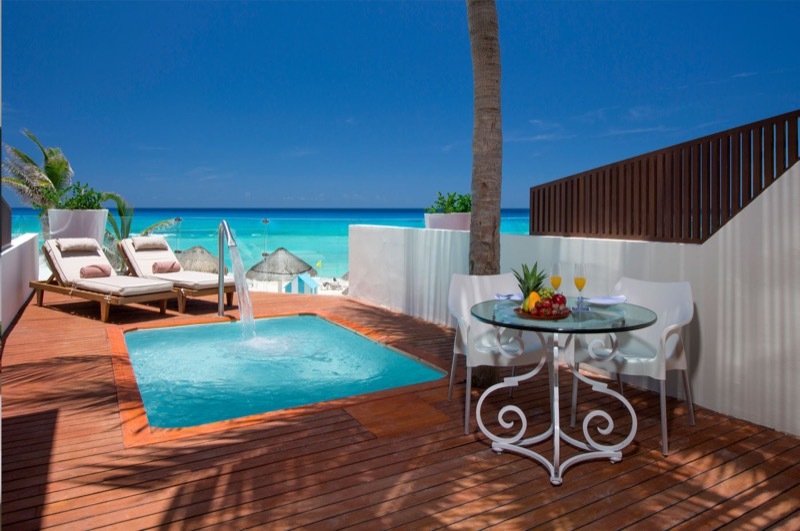 At it, you'll be able to relax in your private pool, which is one of the features that will guarantee the relaxation you've always wanted. 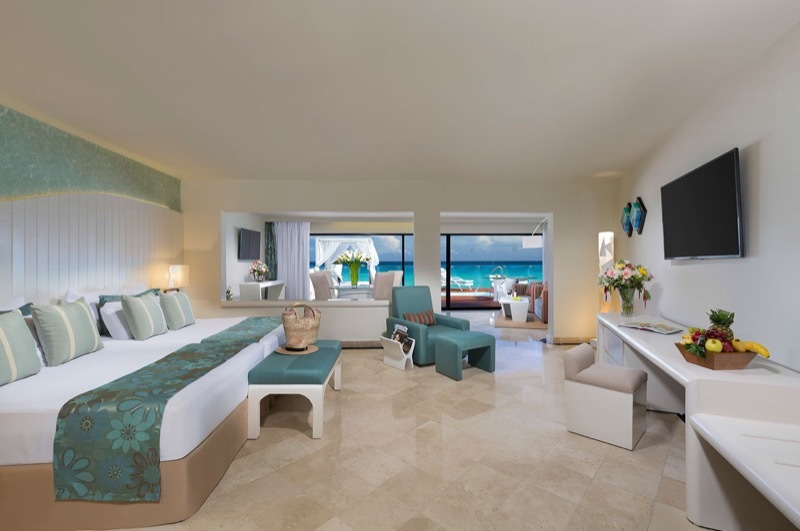 Your room is also equipped with a king size bed, premium room service, wifi, coffee maker, safety box, cable TV, air conditioning, hairdryer, bath amenities, etc. 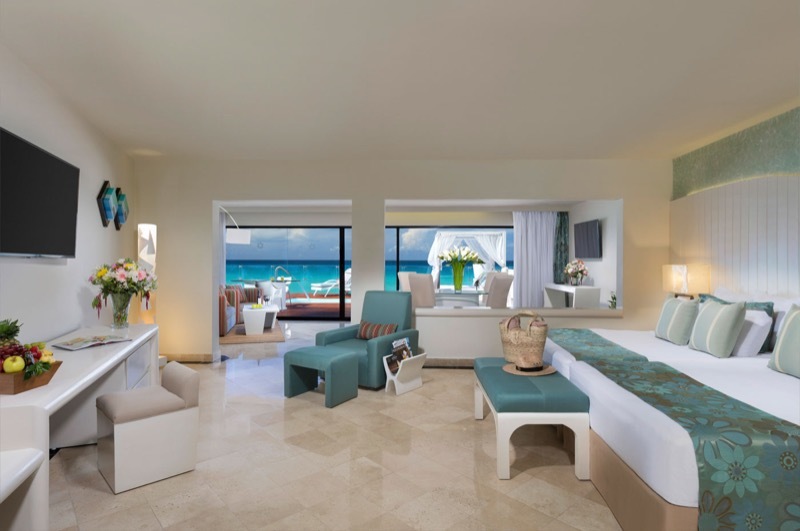 In the mini bar you'll find a variety of soft drinks, beer, tequila, and snacks, all free of charge. 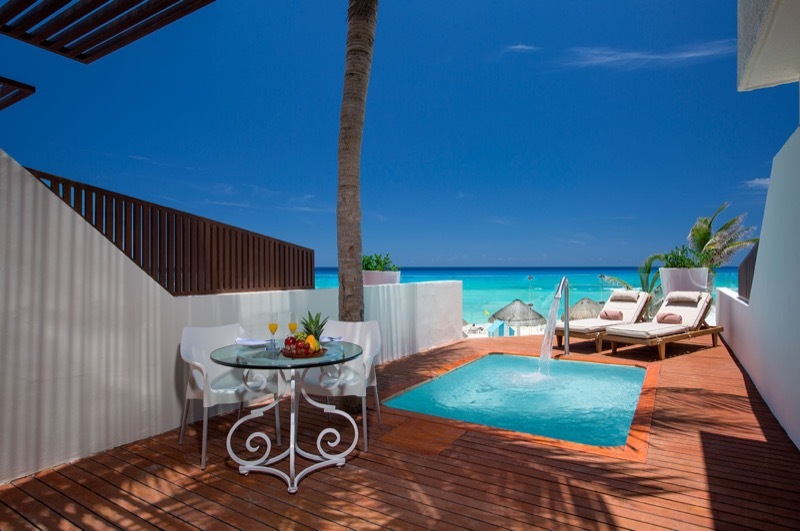 In addition, we offer the check-in service in our VIP Lounge, while you enjoy a welcome drink. What better way to begin your vacation? 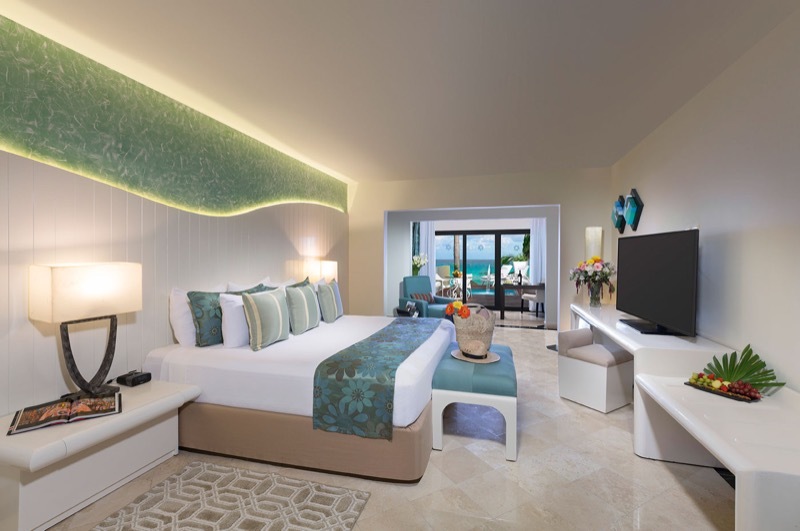 The highest level of luxury available for the most demanding guests, featuring an array of high quality amenities that combine with the elegance of the widest facilities and picture windows that allow a breathtaking view of the turquoise sea. 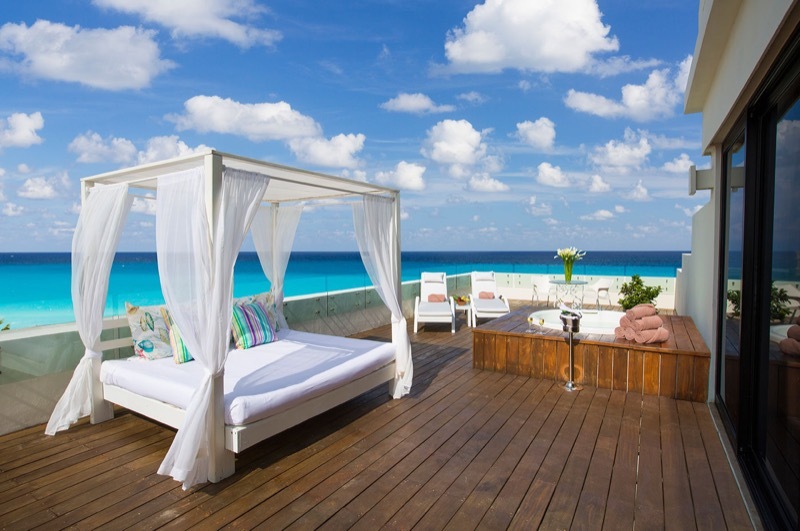 Pleasant rooms with ocean or lagoon view. 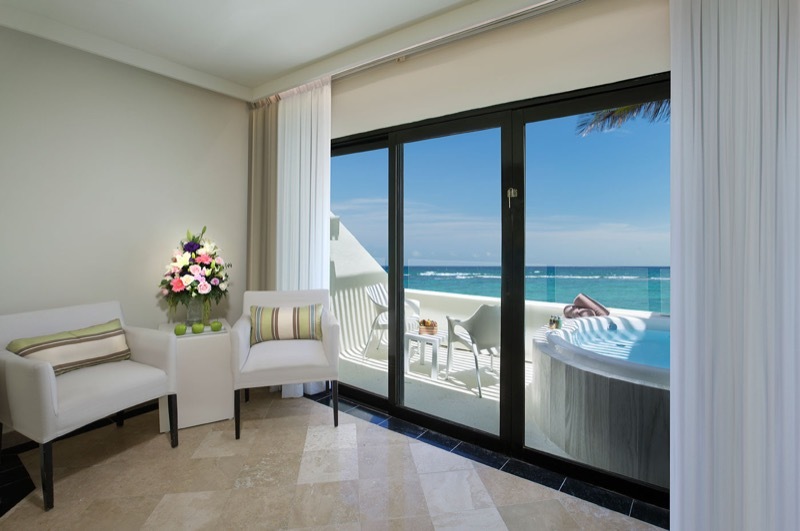 Pools (2 ocean view & 1 sunset view). 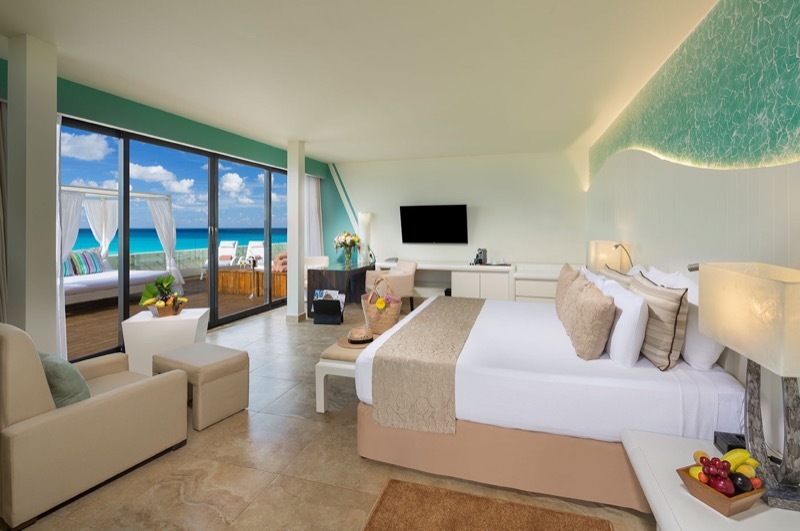 Enjoy a great level of luxury during your trip to Cancun while you stay at our Master Suite, relax in the large but cozy tropical surroundings that this room has to offer, taking pleasure in the ocean views and all of the available amenities. 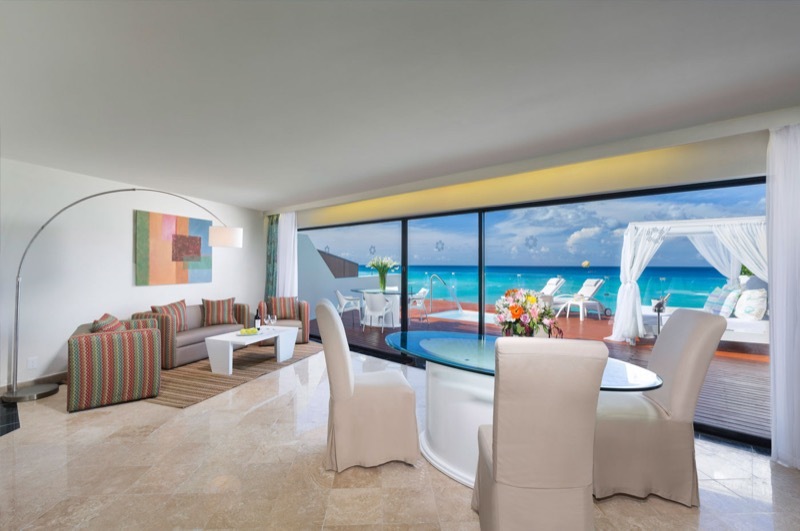 Enjoy a spacious open concept with all the luxury that you need during your trip to Cancun by staying at our Junior Suite. 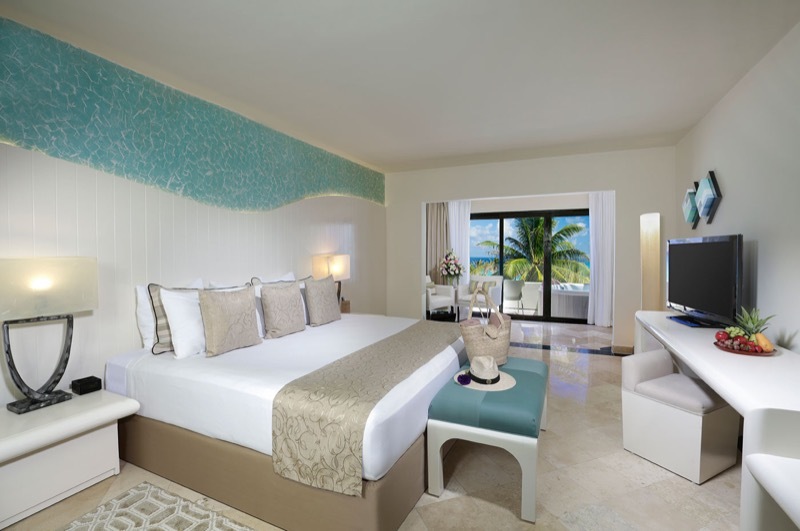 Delight yourself in all the comforts and endless amenities available, in a room that will exceed your expectations. 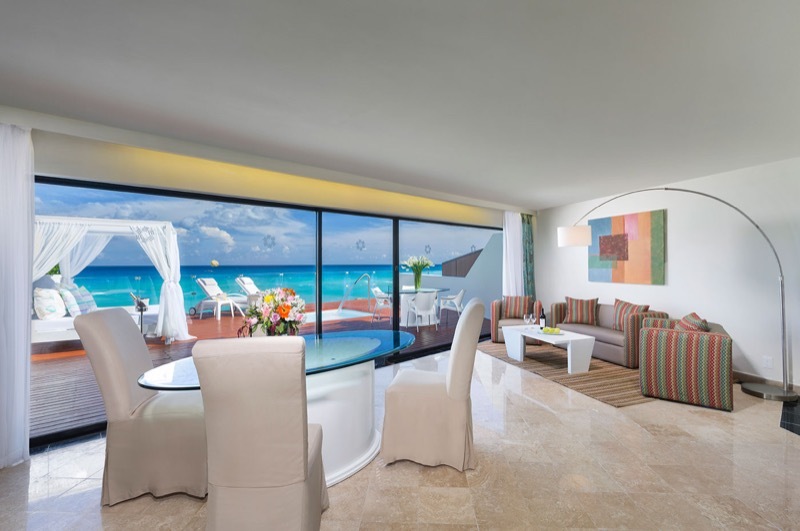 Relax in the comfort and luxury that our standard room has to offer during your trip to Cancun. 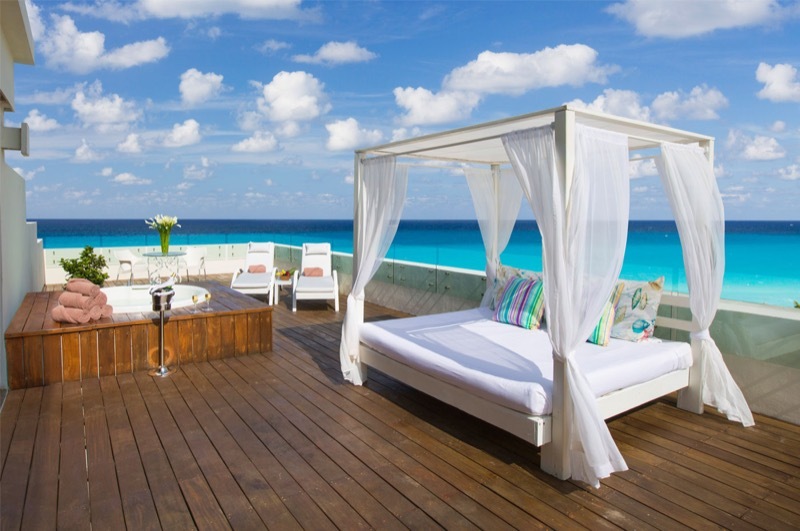 In it you can enjoy a private terrace with a Jacuzzi or sun beds, fantastic views of the Caribbean Sea, and decorations that will make this room the perfect place for a well deserved vacation.